Compliment your show or event with one of our superb lighting packages individually and tailored to your requirements. 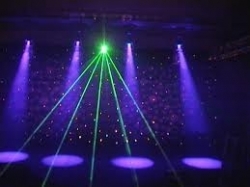 Whether you want just a few par cans or a full lighting rig we have what you are looking for. If you would like more details on our products or would like to discuss your requirements then please contact one of the team who will be happy to help.